In recent years there has been a larger focus on global economic inequalities. There is a growing awareness that a small minority of people control the world’s wealth. According to the UN, the richest 2% of the population owns more than half of the wealth in the world, roughly 223 trillion dollars. Moreover, the richest 300 people on earth have the same wealth as the poorest 3,000,000,000. The difference in wealth can also be viewed geographically, there is a growing economic gap between a few wealthy countries and the rest of the world, today these “rich countries” are an average of 80 times wealthier than poor countries. Forgotten Women focuses on emergency aid and empowerment projects in countries suffering the effects of poverty; war, famine, drought, and displacement etc. Our last project focused on delivering emergency aid to Syrian refugees living on the Syrian border within the Kilis and Reyhanli regions of Turkey. This aid was delivered to women and their families. Our upcoming project is based in Malawi and focuses on the empowerment of women. Malawi is one of the poorest countries in the world, half of its population lives on less than a dollar a day. Diseases like HIV/AIDS and Malaria are extremely common. Our project will focus on funding small businesses for women there, so they can receive a regular income to support their families. Forgotten Women chooses to maintain focus on empowering and helping women within these countries because they are often suffering most. Women account for 70% of all people living in poverty, and 75% of all refugees. 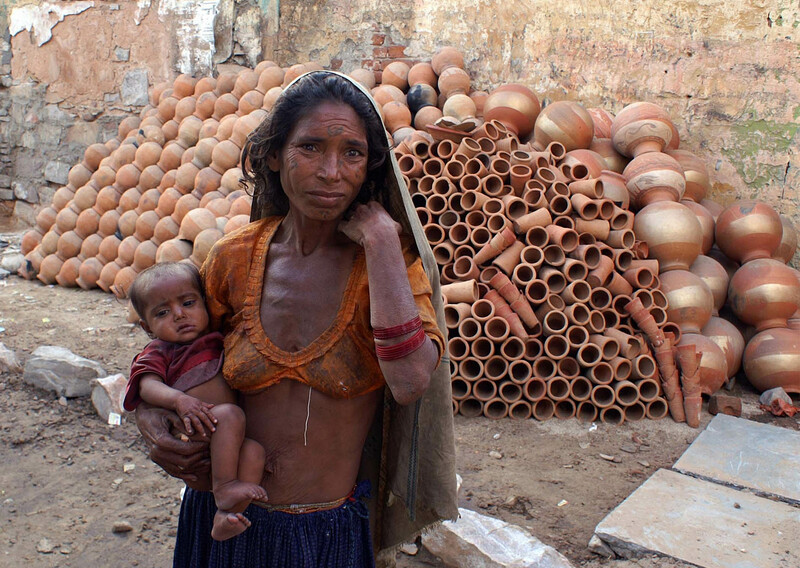 Women living in poverty are burdened with many responsibilities in order to provide for their families; women are typically responsible for caring for the children and the elderly, as well as providing food and collecting water for their families (64% of women have to walk over four miles with an average weight of 20 kilos to get water). Women in Malawi are forced to spend 8 times the amount of time collecting food and water as men, girls in Malawi spend three times more time than boys fetching water and wood. This consumption of women’s time with menial tasks prevents women from participating in education. Women are more likely to be underpaid compared to their male counterparts, while also working more average hours than men. Women make up two-thirds of the world’s illiterate population. Studies show an extra year of primary school can increase girls’ wages by 10-20%, postpones marriages until later, and decreases the likelihood of experiencing domestic violence. Reports from 68 countries showed that a mother’s education levels were a key factor in determining whether her child lived past the age of five. A woman’s access to education has long-term effects on her family’s well-being as well as their ability to escape poverty. Women living in poverty are less able to avoid infection and disease as well as preventing the spread of it, because of lack of access to education and proper healthcare. Young women account for 64% of HIV infections worldwide. Most of the care provided for people suffering from HIV in poor countries happens within the home, women becoming the primary care-takers for those who are infected. Besides consuming more of women’s free time, becoming caregivers increases their chances of contracting HIV. The stigma and discrimination attached to HIV in these countries exposes already vulnerable women to unemployment and social alienation. Women are the main contributors to agricultural labour, especially in Sub-Saharan Africa – which is the epicenter of the HIV epidemic. The impact of HIV/AIDS on women, both as caregivers or those inflicted with the disease, reduces their time and energy and is associated with declines in agricultural productivity and, therefore, food insecurity. Women play an important role in supporting their households and communities; generating income, collecting food and water, and providing care for all family members. They contribute to agriculture and fuel local and global economies. However, around the world, women and girls face persistent structural constraints that prevent them from fully enjoying their human rights and prevent them from improving their lives as well as those of others around them. 1 The Guardian. January 2017. World’s Eight Richest People Have Same Wealth As Poorest 50%. Larry Elliot. 2 The Guardian. January 2017. World’s Eight Richest People Have Same Wealth As Poorest 50%. Larry Elliot. 3 The Economist. October 2012. The Rich and The Rest. 4 UN. The World’s Women 2015. Trends and Statistics. Economic & Social Affairs. 5 UN. The World’s Women 2015. Trends and Statistics. Economic & Social Affairs. 6 UNDP. 2011. Human Development Report. Sustainability and Equity: A Better Future for All. p. 58. New York.7 FAO, IFAD, ILO. 2010. Gender and Rural Employment Policy Brief #4. Agricultural value chain development: Threat or opportunity for women’s employment? 8 FAO, IFAD, ILO. 2010. Gender and Rural Employment Policy Brief #2. Investing in skills for socio-economic empowerment of rural women. 9 The Chicago Council on Global Affairs. 2011. Girls Grow: A vital force in rural economies. 10 WHO Global Health Observatory Data Repository. (http://apps.who.int/ghodata/). Available WHO data on under-five mortality for rural and urban areas exist for 46 developing countries from various years between 1999 and 2007. 11 UNAIDS. Securing the future today: Synthesis of Strategic Information on HIV and Young People. p.2. Geneva. 12 UNAIDS, UNFPA, UNIFEM. 2004. Women and HIV/AIDS: Confronting the Crisis.